I didn’t like this book. The plot concept had potential but ultimately lacked execution and the matter-of-fact, detached writing style was off-putting. Too many third-party PVO’s (point-of-views) to keep track of and – wait for it – one of those voices is the brain tumour, a glioblastoma to be precise, killing Jackie’s father. 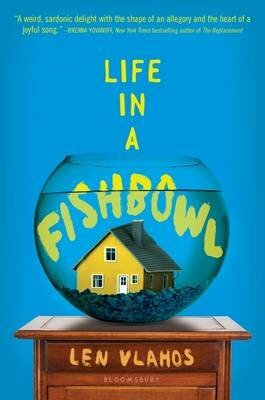 Full review on my book blog: http://crushingcinders.com/life-in-a-fishbowl-by-len-vlahos *I was voluntarily provided a free review copy by the publisher.